This is the place to post your trophy fish pictures. 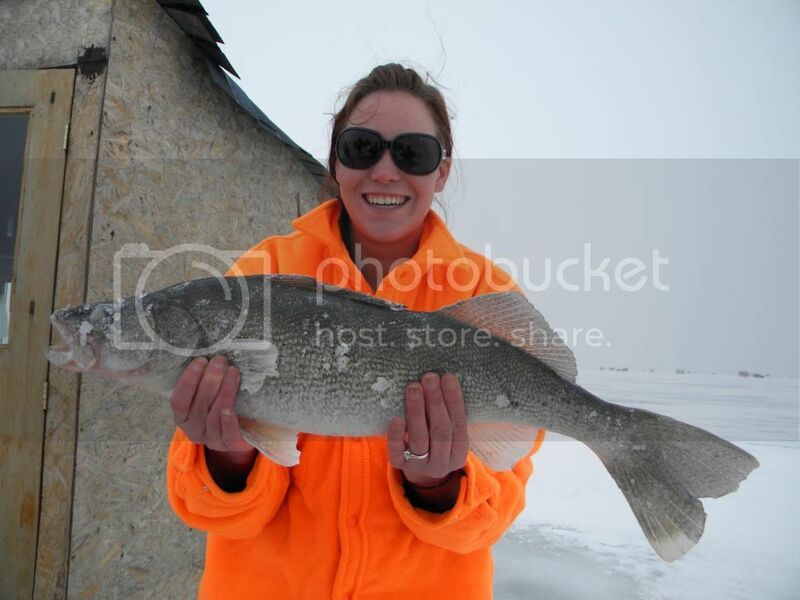 The Bragger's Board, a great place to show off your big catches ... 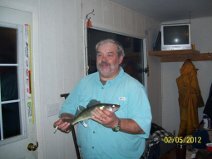 I would also like to promote catch, "click" and release ... Share your lunker fish pics and stories. Not huge but my best from Nipissing. 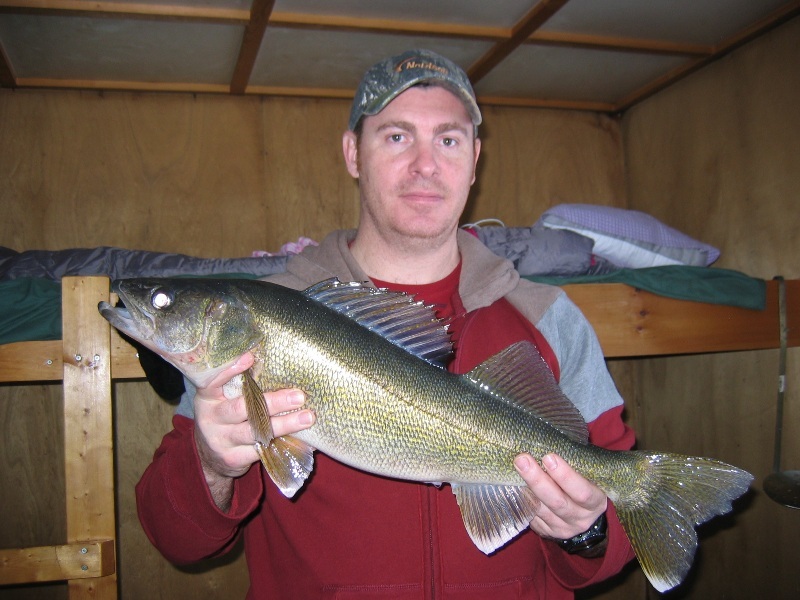 6-7lb walleye from summer 2011. Pulled this out of the ice 2 years ago. walleye 6-7 lbs again. Caught at night after a few pops - thus the goofy grin. Caught this when my GF jumped overboard to swim to shore.....needless to say it was a chore coaxing her to swim back to the boat after this came out of the lake right where she was swimming....lol. I have caught many of these but this one was on the large end of the sizes I have seen on Nip. Fun to catch, but only good for one thing.....a healthy garden! No pb but a good day. A buddies Nipissing morning Sturgeon 2012 Feb through the ice inside one of the Icebungalows huts. 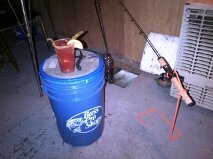 THIS WAS MY BUDDIES FIRST TIME ICE FISHING LAST YEAR IN FEBUARY AT IDLE TYME. these may not be the biggest but they are the biggest for me. 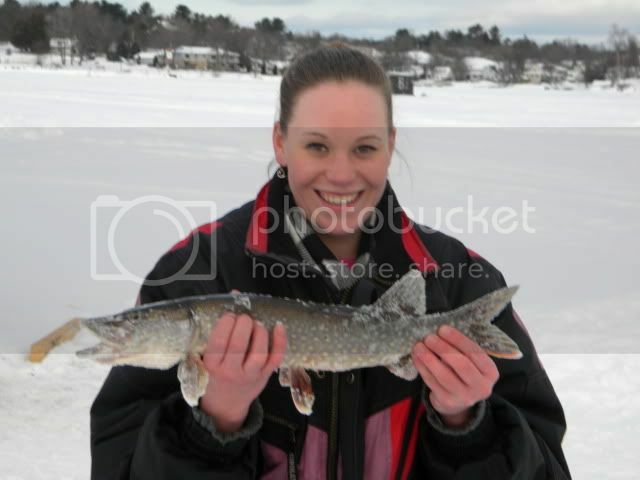 and the pickerel that almost got away last year. He fell off the line and my man drove his hand all the way down the hole and saved the catch. Team work. Lake Nipissing 2012: My daughter Julianna's jumbo-perch off the top bunk! Lake Nipissing 2012: My biggest......MEAL! my 1st king ever from shore in grimsby and never in a boat i like the shore fishing much better 14lbs.